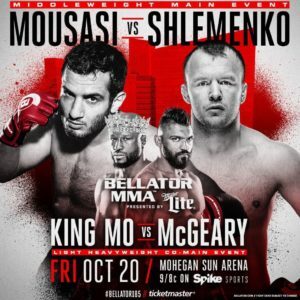 Newly signed free agent Gegard Mousasi (42-6-2) will make his promotional debut in the main event of Bellator 185, against former Bellator Middleweight champion Alexander Shlemenko (56-9). In signing with Bellator MMA Mousasi reunites with promoter Scott Crocker, who ran Strikefore, while Mousasi was there Light Heavyweight champion. Mousasi comes over from the UFC on a 5 fight win streak, with 4 straight TKO wins. Shlemenko is also on a 5 fight win, but with 3 stoppages, including TKO’s of Kendall Grove & Brandon Halsey. The nights co-main event Muhammed “King Mo” Lawal (21-6) against former Bellator Light Heavyweight champion Liam McGeary. Lawal was scheduled to welcome Ryan Bader to Bellator at Bellator 180, but due to injury withdrew from that contest. In March “King Mo” rebounded from a TKO loss to Mirko Cro Cop, with a decision win over “Rampage”, evening there series at 1 a peace. 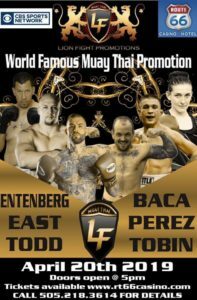 McGeary has lost 2 of his last 3 fights getting out wrestled by Phil Davis, Knocking out Brett McDermott, and getting submitted by Linton Vassell. Bellator 185 is October 20th at the Mohegan Sun Arena in Uncasville, Connecticut.